a CHRITSMAS night to remember. 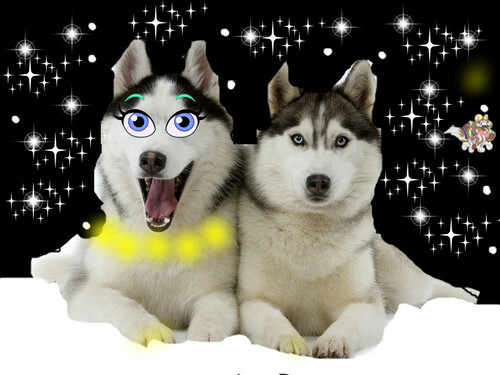 2 huskys upendo each other and i made this because i was boredaround dog neck is fireflys makeing a necklace(find the arctic mbwa mwitu and its from animal jam, jamu and add me if wewe play it my user is luluish. HD Wallpaper and background images in the mbwa club. This mbwa fan art might contain siberian husky, husky ya siberian, eskimo mbwa, husky, and mapenzi yake.